Throughout reactions and deliberations to the Syrian governments use of chemical weapons, the question of punishment has arisen on multiple occasions. Yet the importance of punishment”even its meaning and goals”has become contested and miserably confused. At some level, we still think that punishment matters in international politics. But we dont understand why . At the outset of the crisis, President Obama proposed taking punitive action against the Syrian government when it crossed a red line by using chemical weapons against its population. When the U.S. signed on to Russias proposed deal to inspect and destroy Syrias chemical stores, punishment got shelved. Even the recent U.N. Security Council resolution to dismantle Syrias chemical weapons program includes no coercive provisions should the Syrian government fail to comply. The Syrian dictatorship has escaped punishment. David Corn of Mother Jones protests, Assad will not be held accountable for the August 21 attack near Damascus that killed 1400 civilians, including many children. And he will be able to continue slaughtering others with conventional means. Middle East scholar Shadi Hamid of the Brookings Institution worries in the Atlantic that, because the Russian inspections agreement lacks any punitive element, Assad has been rewarded”strengthened even”for using sarin gas. According to these commentators, the presidents insistence on Assads responsibility for Syrias chemical weapons program”but not accountability for the actual use of chemical weapons”encapsulates Obamas disinterest in the humanitarian dimensions of the Syrian war. A good way to bury the moral dimensions of war is to abandon a commitment to punishment. We have misremembered or renounced this retributive component of punishment. The retributive dimension of punishment serves, as the word suggests, as a form of public tribute”a vindication of certain values or norms that have been transgressed. Retribution, within this moral framework, is not some empty symbolic gesture. We trivialize the concept when we casually dismiss it as merely sending a message or holding Syria accountable, which was the language the president originally used. Obamas call for force against Syria in order to uphold international norms about chemical weapons similarly can (or could have been) a call for retribution, akin to what Augustine proposed. 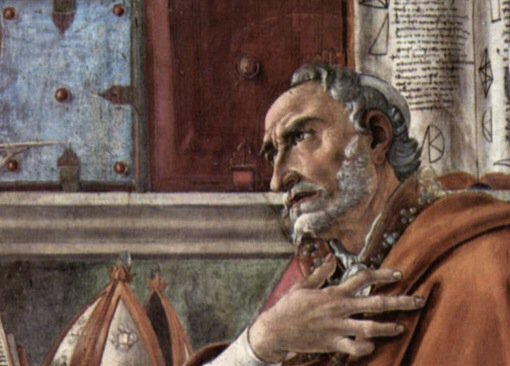 For Augustine, what is especially significant about punishment is the acknowledgment of ones transgressions, along with the effort to make restitution for them. Punishment was needed most for those unwilling to acknowledge their wrongs and the norms that such wrongs violate. Retribution, then, elicits from the offender the affirmation that a moral framework exists at all. Once the offending party pays tribute to this framework (by acknowledging wrongdoing and making restitution to victims), punishment must end. Assad, however, was able to sidestep this process completely. The U.S.-Russian deal did not require him to admit using chemical weapons”which Russia also denies”nor to make amends or restitution to the victims. Assad was not even obliged to stop massacring more people, so long as he uses strictly conventional means. Alas. President Obama would have been on solid moral grounds arguing for retributive use of force”in order to hold Syrias government accountable, to entice Assad to admit past wrongdoing, and to pay tribute to the international norms that govern the comity of nations and uphold the laws and values the such norms represent. This message would have been even more powerful if the president had linked Assads use of CW to his numerous conventional attacks against civilians such as targeting bakeries and breadlines. Augustine and Aquinas were not, it is true, students of contemporary international affairs. So is there a more recent precedent for thinking about punishment and force? Throughout the Syria crisis, we have been offered a full roster of historical cases where we might find guidance. Liberal hawks and internationalists have looked to humanitarian military interventions such as Bosnia (backed by the U.N. Security Council), and Kosovo (which had only NATO support), or perhaps the 2011 campaign in Libya (which was backed by both organizations). Or to cases in which no one intervened such as Rwanda”Bill Clintons professed worst mistake of his presidency. Meanwhile, many realists who contend the United States has no national interests in Syria warn of repeating the mistakes of Afghanistan and Iraq. But the president insisted in his address to the nation that Syria is neither Iraq nor Afghanistan, neither Kosovo nor Libya. His eagerness to quash efforts to reason through analogy is a pity. As Michael Walzer and other just war thinkers have shown us, ethical insight often can be found in historical cases”even if cautions and limitations must always accompany the casuistic approach. While the Syria debate has elicited references to Ronald Reagans 1983 order to invade Grenada, the more appropriate comparison is to Reagans 1986 decision to strike Libya in response to the bombing of a Berlin discotheque. This limited, time-sensitive military response”just nine days later after the act of terror itself”is an apt illustration of the punitive use of force. Qaddafi had already financed or supported multiple terrorist attacks around the world (Rome, Vienna, Khartoum); claimed international waters in the Gulf of Sidra as Libyan territory (which it defended by firing on a U.S. aircraft carrier); and planned assassinations against U.S. officials. So when the United States acquired direct, precise, and irrefutable evidence that Libya was behind the Berlin nightclub bombings, there was a longer history and a broader context for President Reagans response: We have done what we had to do. If necessary, we shall do it again, he warned. Qaddafis crimes were international in scope. So while Reagan claimed to have acted in self-defense, the Berlin bombing”and all of Libyas other crimes”were significant violations of international law. Americans were not even the primary victims in the nightclub bombing. Of the two people killed in Berlin, only one was American, and of the 230 people wounded some three-fourths were not. So the retaliatory attacks did as much or more to uphold international norms as to defend U.S. interests. Reagan did not seek U.N. approval, which would have been implausible during the Cold War (in fact, the U.N. General Assembly later passed a resolution condemning the strike). Nor did he seek a congressional resolution that would have delayed significantly the military response, though he did consult with congressional leaders. Most significantly, the 1986 retaliatory strike was finite. It was not designed to resolve all problems with Libya. Tactically speaking, its doubtful that Qaddafis terrorist apparatus involved limited fixed targets that could be eliminated completely by military means. Reagan did hope the strike would deter future attacks and give Qaddafi incentives to alter his criminal behavior. But he was under no illusions that it would necessarily do so. Nor did it. Two years later, Libyan intelligence agents were suspected (and one was later convicted) for the 1988 bombing of the Pan Am jet downed over Lockerbie, Scotland. Nevertheless, just as Reagan sought to tamp down expectations of the actual results that might come from the 1986 strike, his moral justification for the action paid tribute to a view of the world that renounced acts of terror, including Qaddafis tactics to cause maximum and indiscriminate casualties against civilians. A refusal to act, Reagan implored, would have meant ignoring crimes that placed Qaddafi outside the community of civilized men. Lest anyone think Reagans strike was anomalous, President Clinton undertook punitive strikes against Iraq in 1998 following its failure to comply with U.N. resolutions. Unfortunately, because we lack a civic conception of just wars retributive component, President Obamas argument for punishing Syria got collapsed into its deterrent rationale, which could not make the final cut of the U.N. resolution. One wonders whether Obama really understood or was committed to the punitive and retributive concerns he articulated in his initial call for military force. Did he or anyone in his administration fathom that this was his strongest card to play? Did anyone recall that the United States, under President Reagan, had held these cards before? (Coincidentally, invoking Reagan might have gone some way in his efforts to garner more Republican support for striking Syria.) In the end, though, when Obama threw the punishment card into the discard pile, he folded his other cards as well”morally speaking anyway. Of course, the administration could and should have played other hands it was dealt. Had the president and his administration been more willing to confront the humanitarian crisis in Syria all along, they would not have found themselves groping for both a moral compass and a strategy when the chemical attacks occurred. A response to chemical weapons use would have entailed intensification, rather than initiation, of efforts to punish Assad for the massacres he was already inflicting by conventional means. Punishing humanitarian atrocities is but one way of responding to them, rarely the best way. Punishment is not more intrinsically important or exigent than other just causes for war”especially when the lives of hundreds of thousands hang in the balance. If the recent history of international criminal tribunals tells us anything, we should show less satisfaction in punishing war crimes and more courage trying to halt them. For that is a far more powerful way to pay tribute to the international norm of human dignity that so many nations claim to support. This form of tribute, though, requires more sacrifice and entails more robust forms of intervention than the president, Congress, or the American people currently seem willing to undertake. When we lack the will to confront humanitarian scourges more aggressively, the Syria crisis suggests, punishment may be the only viable and morally defensible course of action still on the table. That is, if it is still on the table at all. John D. Carlson is associate professor of religious studies and associate director of the Center for the Study of Religion and Conflict at Arizona State University.